We look at some big discrepancies between quarterbacks, and ask rankers to explain themselves. Does Carson Palmer have anything left in the tank? Let’s face it. As humans, we just like to rank stuff and, perhaps more importantly, we love to hear other people rank the stuff we like. Be honest with yourself – how many “Top 5” or “Top 10” or top whatever articles have you clicked on in the last month? Ranking things also might be one of the best ways we know to feel people out. When we’re trying to move someone into “friend” territory or even beyond, we often spend some time talking about favorite things, like favorite food, favorite movie, and so on. Rankings are important. 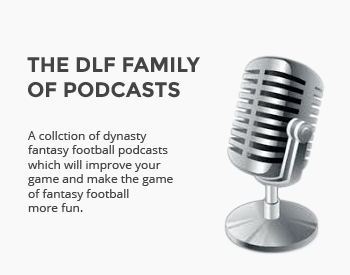 And here at DLF, the dynasty rankings we supply are very important to our readers, and we try our best to continue to deliver. Ranking players is not an easy thing to do. The popularity of our rankings also means they are subject to a great deal of scrutiny. Since we use a number of rankers for each set of rankings we put out, there are often wildly different opinions on players. In this series, I’ll take a look at some of those examples where I find the biggest discrepancy between the highest rank and lowest rank for a given set of players, and give each ranker the opportunity to defend why they are so high or so low on each player. Let’s get started. Great article, need more of these so we the readers can focus on which of the rankers most closely meet our same insights. 1) each of the DLF staff seems to have their own matrix for ranking a player, some seem to focus on players redraft value while others look longer range, it would help to see DLF establish a common set of criteria which would help to understand the rankings as well as the ranker. 2) quite often a writer will quote the number of fantasy points a player had, a common scoring system if quoted in the article would help us subscribers to understand the impact with respect to our league. Thanks and keep the high quality articles coming! Thanks for reading, and for the the great feedback. This is the first in a series, so expect more just like this one. I do think we could find some ways to better establish baselines for rankings, and hopefully we can address it in some way in the future. Excellent article. Looking forward to more. Knowing why they have a player ranked is often more valuable than where. Makes me wish the small quotes in the player ranking were updated more frequently, though I understand the time commitment they require. Really cool idea for a series.